family history SO easy…that otherwise lovey-dovey couples often end up fighting over who gets to use the laptop first. Just remember: no fighting over the laptop during family home evening or during Sacrament Meeting (unless you’re sitting on the back row where no one can see you). 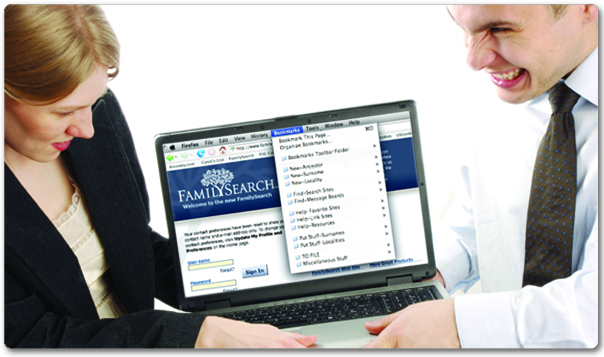 These are the basic family history websites you’ll use as you research your family. We’ve preformatted them for you so they’re easy to install on your designated family history browser. Start here to download and install these Bookmarks (Favorites).